West London College has been named as one of the first Mayor’s Construction Academy (MCA) Hubs, a quality mark that identifies and recognises high-quality construction skills training in London. The MCA Hubs, which were launched by Jules Pipe CBE, Deputy Mayor of London for Planning, Regeneration and Skills, at City Hall on 25 January, strengthen coordination between construction skills training providers and construction sector employers and provides capital funding for up-to-date training equipment and premises. Managing Director at West London College, David Warnes, represented the College at the launch. He said: “We are delighted to be named as one of the first Mayor of London’s Construction Academy Hubs. It is a testament to our staff and our reputation with employers. Improving the supply of skilled construction workers required by the sector and creating more opportunities for Londoners to benefit from the available job opportunities in the construction industry, including more women and BAME Londoners. Scaling up and extending high-quality provision and initiatives that are already working well across the capital to train Londoners in the skills needed to enter into and progress in careers in the construction sector. Supporting the development of training provision for the construction of precision manufactured housing in London. 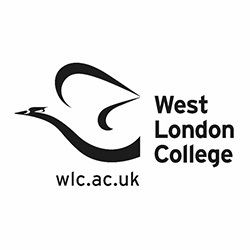 West London Construction Academy (WLCA) is a specialist construction site in line with the MCA hub scheme. Park Royal College and WLCA are employer-led academies offering a wide range of construction courses and dedicated employer focused resources to give you the skills for a great career. Partners in delivering the MCA Hub include Harrow College & Uxbridge College (HCUC), Action West London, West London Business, Berkeley and Keir.